BCCT, together with AMCHAM, AustCham, EABC and FTCC, would like to invite you to BCCT Multi-Chamber Phuket Business Dinner on Wednesday 21st November at Amari Phuket. 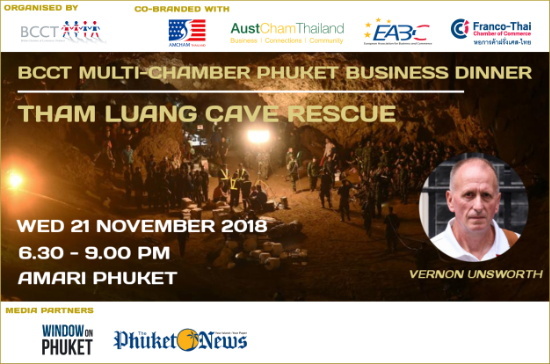 The talk will be led by Vernon Unsworth, British Caving Expert who played a leading role in the Thai cave rescue operation in which he helped save 12 trapped schoolboys and their coach from Tham Luang Cave. With his survey materials and maps of the cave, Vernon will share his experience on the rescue and open for Q&As. Speaker: Vernon Unsworth, British Caving Expert who played a leading role in the Thai cave rescue operation in which he helped save 12 trapped schoolboys and their coach from Tham Luang Cave. 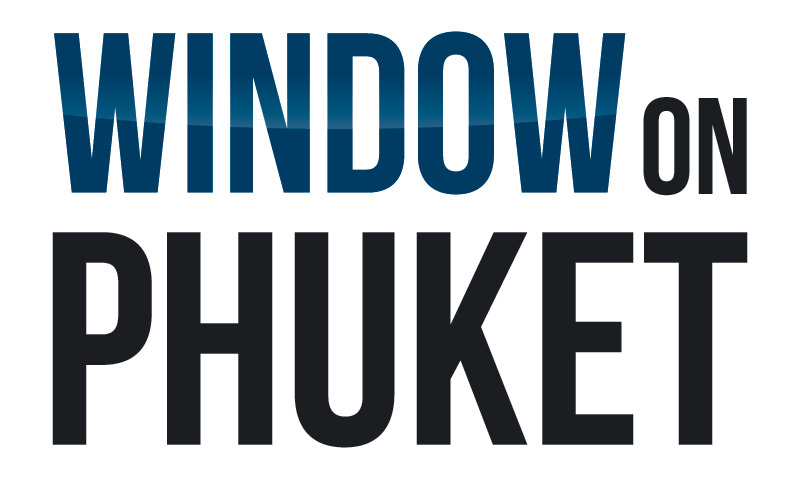 He will be accompanied by his partner Khun Woranan Ratrawiphukkun (Tik). Cost & Payment: THB 890 including inter-buffet & soft drinks. All drinks at Happy Hour price from 5-9 pm. Food & beverages on guest's own account. Payment at the door direct to the hotel. If you require tax receipt from the hotel, please present your company detail and tax ID at registration.